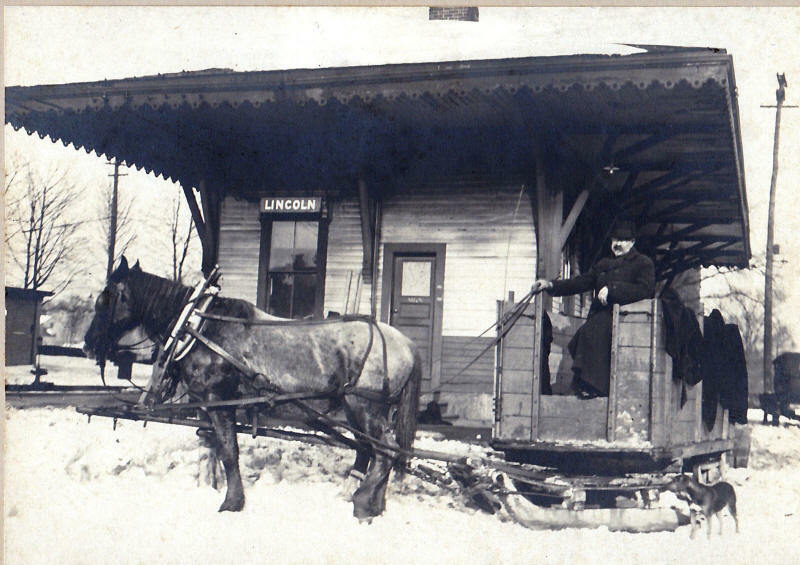 The purpose of the Lincoln Historical Society is to bring together those people who are interested in the history of this area in general and of the Town of Lincoln in particular. The major function of the Society is to stimulate interest in individuals and groups to discover, collect, and preserve materials which may be of historical significance to this area and to the Town of Lincoln. John F. Farrar, Lincoln's best-known politician, driving a pung that served as an early school bus, circa 1920.